Polo-what? Yes, you read that right. . . .
Polocrosse is an Australian-inspired sport that combines elements of two fast-paced, demanding games—lacrosse and polo—and requires a high degree of energy, equilibrium, and fearlessness on the part of both horse and rider. 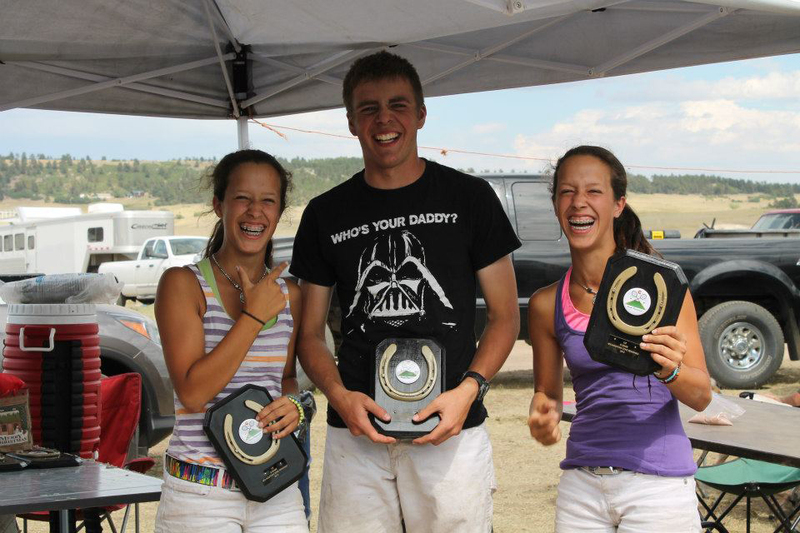 In winning first place in their class at a Labor Day weekend regional polocrosse competition held in Colorado Springs, Principia sophomores (and twins) Clara and Emma Oyer certainly demonstrated these qualities! Confident in the skills they had learned in the polocrosse program run by Adventure Unlimited Ranches, a Colorado-based summer camp for Christian Science youth, the girls and their teammate, Garrett Barner (also an A/U camper), competed impressively in the Mountain Zone Regional tournament held under the auspices of the American Polocrosse Association. They played against four other teams that included young people as well as adult men and women. The Oyers had enjoyed horsemanship for several years and “were ready for more challenge—and more speed!” as Emma puts it. So they took up polocrosse in the summer of 2011. What they love about the sport, in Clara’s words, is the “feeling of being a friend with your horse,” which makes the long hours and many tasks of a competition day well worth it. Each match consists of two eight-minute “chukkas” (rounds), and the horses need to be walked, watered, fed, unsaddled, and re-saddled between matches. While their immediate focus is on schoolwork for the coming year, both girls are eagerly looking forward to more opportunities to practice and compete in polocrosse events next summer.